JK Rowling's wizarding world has always seemed comfortably old fashioned. After all, why bother developing tech when your ironing does itself and you can rebuild skyscrapers with the wave of a wand – even if sending a text is quicker and decidedly less messy than sending an owl? So it makes perfect sense to send the franchise back in time, without the aid of a time turner, for once. Fantastic Beasts and Where to Find Them transports us back 70 odd years (very odd, I'd imagine – this is the wizarding world, after all) to prohibition Noo Yoick – all skyscrapers, sleazy gin joints and Second Salemist fire and brimstone Christians preaching death and destruction if we don't burn more witches. Society is riven between 'us' and 'them', magical and no-mag, those in power and those at the mercy, those in the know and those utterly duped. Sound familiar? No, it's not a biting satire on Trump town, it's the setting for a riotous tale of escapee magical creatures and unlikely romance, a delightfully comic series of mishaps and missteps that skirts elegantly, like a cute circus pony, around much darker matters of good and evil, child abuse and insidious grooming, corruption in high places and governmental brainwashing. Phew! Then there's the question of who's behind it all – oh shoot, was it a spoiler to have placed this review in the Johnny Depp Archive...? Newt Scamander, played with winsome, tousle-haired gaucheness by the lovely Eddie Redmayne, has come to New York to free a native mythical beast he discovered in captivity overseas. A caring, sensitive soul, awkward in social situations yet confident and in control when tending his menagerie of weird and wonderful creatures, he makes an unlikely and appealing hero in the vein of Bilbo Baggins, Frodo, Star Wars' Ren and of course Harry Potter himself (or perhaps more pertinently Ron, Hermione and Neville Longbottom): ordinary people who must step up in extraordinary circumstances. 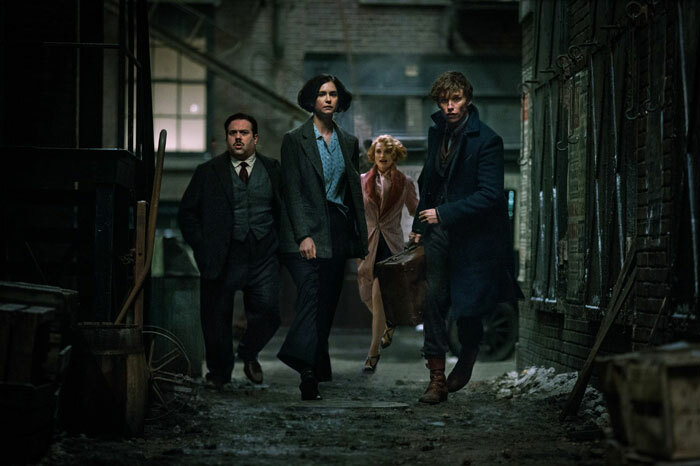 Okay, so don't worry too much about the plot, because really the clue to this film is in the title: it's full of wonderful, inventive, delightful, characterful, occasionally alarming and oh so very believable beasts. The studio that brought us the likes of Dobbie, Aragog and Buckbeak has truly excelled itself here: from the super-cute mole-like pilfering niffler to a giant rhinoceros-like lump looking for love to an enormous majestic eagle thing (yeah okay, I'll admit it, I haven't actually read Newt's book) each is unique, individual and, in its own weird way, lovable. 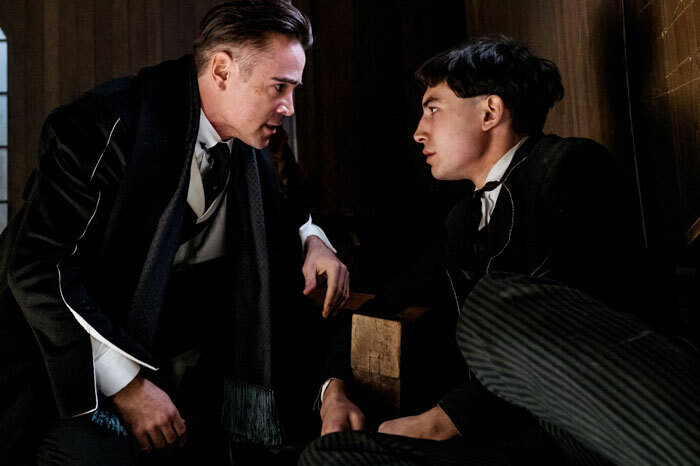 Funny, innovative, touching (though admittedly lacking the emotional depth of the later Harry Potter films but give it time - there are four more films slated to come…) Fantastic Beasts is an adorable, hugely entertaining, genuinely magical film that really does live up to its name.